REFIT 2018 - new awnings, new exterior cushions, upgraded AV system with 11 Apple TV's & new PLEX movie system, new carpet throughout, new granite on outside bar area. interior marble re-polished, new linens, towels, china, crystal. Salon: The salon is full beam featuring a 46” state of the art theater with edge lit LCD screen and comfortable lounge arrangement to port. Formal dining for 12 is situated further forward with open plan layout. A day head is easily accessed just forward of the dining area. 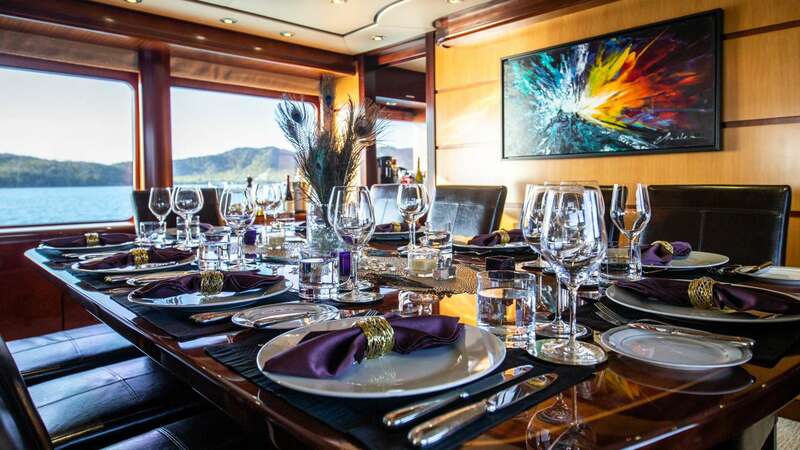 The Galley is accessed to port of the formal dining area and features a stew pantry/ service area. 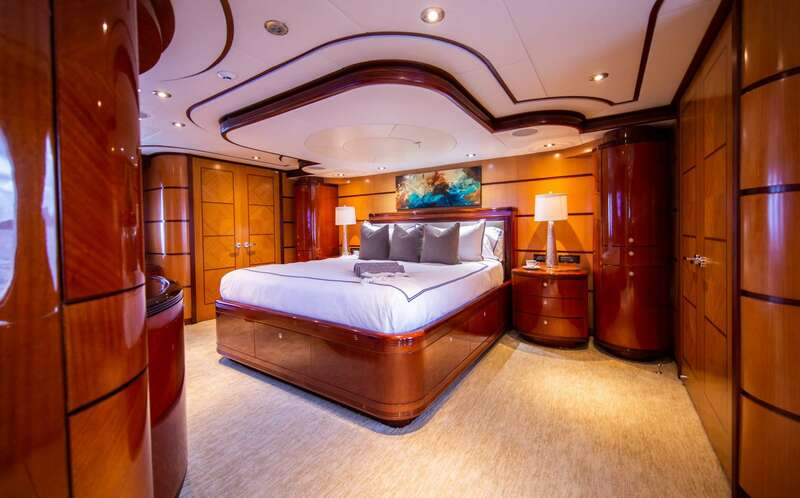 The Master Suite with a King size bed. 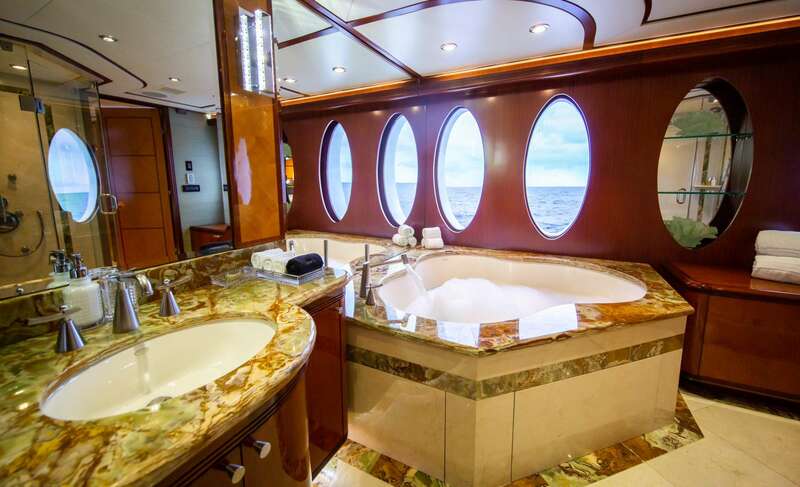 The en suite features Italian marble floors and counters, Jacuzzi tub, walk in shower, double sinks and private toilet with bidet. Guest Staterooms 2 guest staterooms amid ship (King and Twin w/ pullman) and another 2 guest staterooms (Queens) below aft. 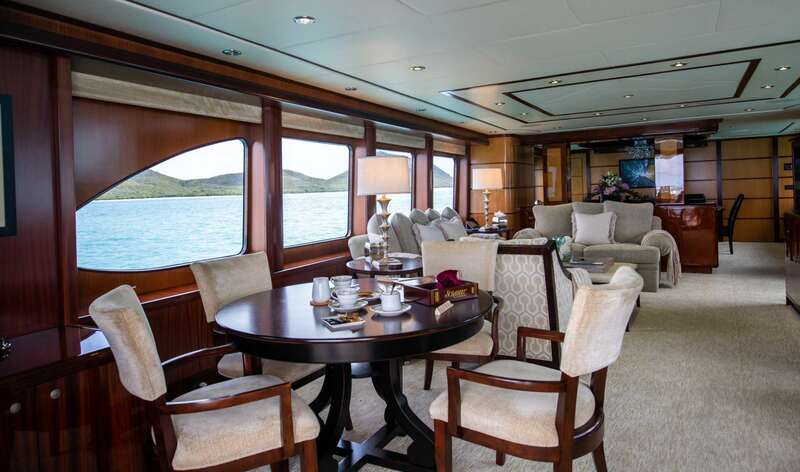 Each cabin offers iPod docking stations and full AV entertainment with flat screen TV’s. 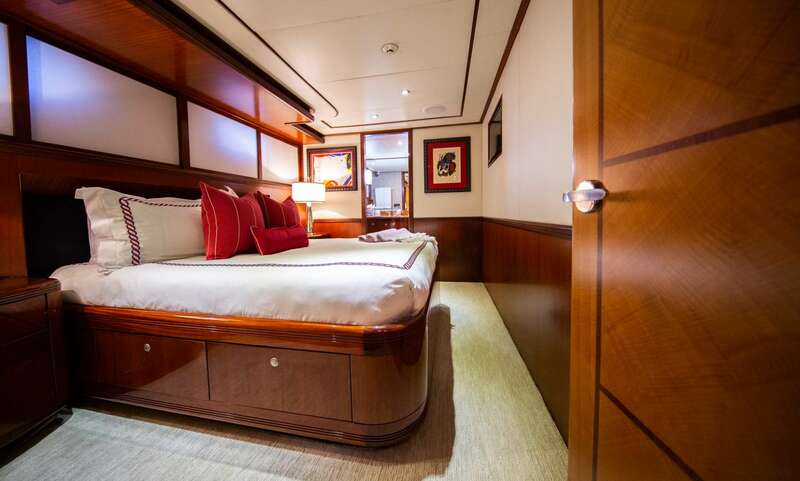 *Each guest stateroom has en-suite facilities with Jacuzzi tubs and integrated showers. Mini- self service refrigerators are installed in each guest room. 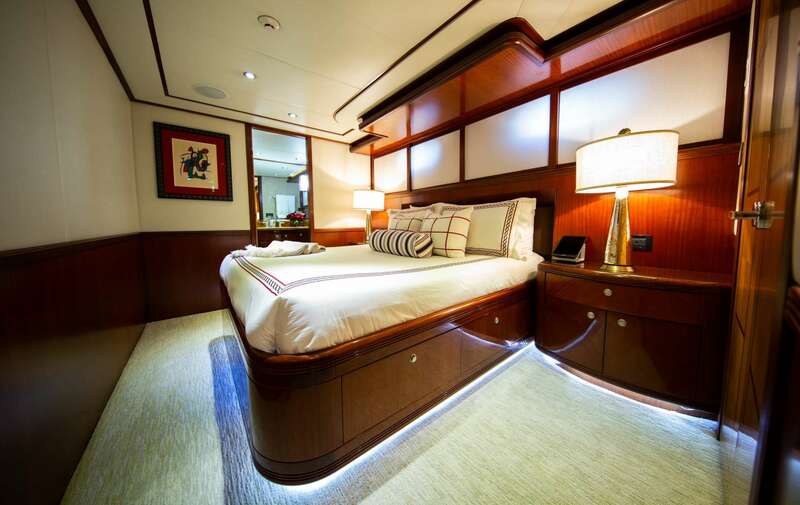 All guest areas and staterooms offer flat screen TV's satellite service, Kaleidescape, Blue Ray systems and iPod connectivity. The Sky lounge features a full bar with stool seating, game table, corner sofa arrangement and 55” edge lit LCD TV. 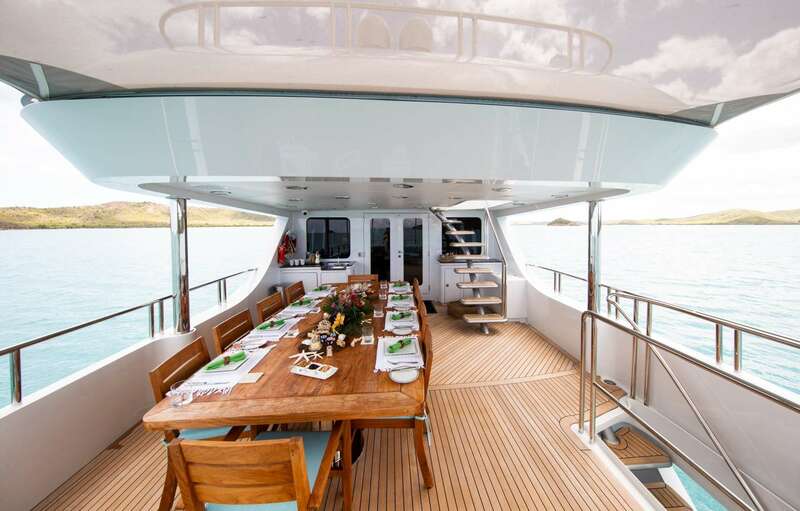 Al fresco dining and seating aft provides an alternate setting to the formal dining below while further aft of this is a perfect cocktail seating area. 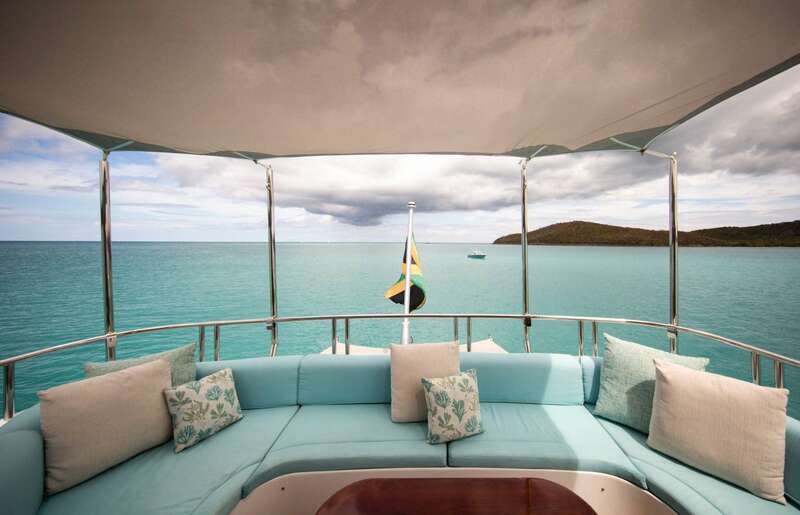 Up another level on the Sun Deck with Jacuzzi and sun loungers. 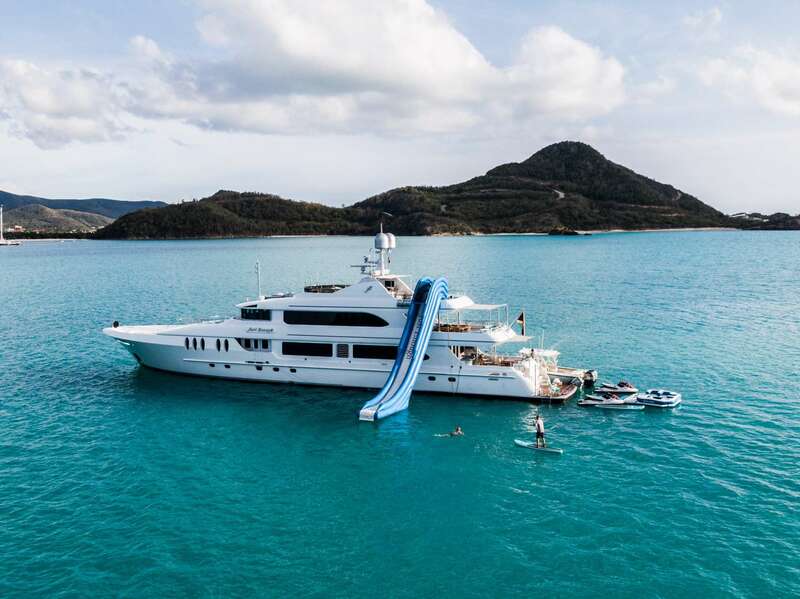 Entering the foredeck via the forward bridge area are two large sun beds to port and starboard – this private guest spot is still away from the lower foredeck working area where the smaller jet tender and waverunner are situated.